When a loved one dies there are many emotions that must be processed as you grieve, and managing their estate is probably the last thing on your mind. If no estate plan is in place, you may find yourself scrambling during this emotionally trying period. If you have a solid estate plan in place before a death, you will be able to more easily navigate this time without the added stress of figuring out complicated legal processes (especially if you have been appointed executor). Read on for what to do regarding estate planning after a loved one has passed away. When a loved one dies their creditors may not know that they have passed, and notifying everyone of the death is advised. Credit card companies, utilities, cell phone companies, and government agencies will all be able to convert accounts over to decedent status and this can eliminate future charges from being incurred. You may need to cancel accounts, memberships, subscriptions, and if there is a surviving spouse transfer over bills into their name. Having a list of all of these accounts and the associated login information and contact numbers prior to a death will make things much easier. There will be a lot of documents that are needed when managing an estate after the death of a loved one. These can include documents concerning assets such as wills, trusts, insurance policies (homeowners, health, disability, auto), credit card statements, IRAs, 401(k) plans, mutual funds and pensions. It is also useful to have marriage and birth certificates of spouses and children, and the last two years of income tax returns. An updated credit report can also be useful. Part of estate planning is designating a specific place for all of these documents to be stored, so that the executor of the estate can access them and more easily manage the estate. In addition to notifying, you may also need to pay final bills. There could be mortgage payments, credit card bills, car loans, or property taxes that are due and could accrue further penalties if not paid on time. Again, having a list of all of the debts beforehand makes this a much easier process. In addition to bills, you want to make sure that the income taxes for that year are current, and you should meet with a skilled tax attorney if you need to extend any returns to gather more documents. You can usually get a copy of the death certificate with the help of a funeral home, but you should make sure to get several copies. 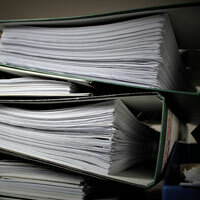 When dealing with the estate multiple entities will need copies of the death certificate, including financial institutions, government agencies, creditors, unions, and membership groups. The death certificate is necessary before these entities can even start to discuss the financial affairs of your loved one with you, or give you any access to assets. Obtaining multiple copies of the death certificate from the start will help you avoid headaches and more work down the road. After a death, the power of attorney that was in effect ceases to be valid. This means that if you had power of attorney while your loved one was alive, but you are not named the executor of the estate, you will not be able to make decisions regarding assets. Some people mistakenly believe that power of attorney will be enough to manage a loved one’s estate, and only find out this is not the case after a death. Don’t let this happen to you—meet with a skilled estate attorney to ensure you understand the rules governing power of attorney. Right after a death, when many family and friends are in town for a funeral, it might seem like the time to start letting people take jewelry and other valuables. All assets should be protected immediately following a death, and even the family should not take anything until the estate is opened and a personal representative or executor is appointed. Once assets are gone it is very difficult to ever recover them, so make sure that during the initial period of grieving and commotion all assets are protected. A good estate plan will have the executor well-equipped to know exactly where an original will is located. However, many people do not make an estate plan (even though they may have a will) and this can cause family members to have to search through piles of papers to find the right documents. If an original copy can not be found a copy is the next best option. The decedent’s attorney or accountant may have a copy, or it may be located in a safe deposit box. If there were insurance premiums paid on car loans, mortgages, or credit card agreements, the heirs may be entitled to cash benefits. You will need to know what policies exist, and if there are 401(k) funds, union, or military pension benefits that could be paid out. Insurance policies should be used carefully during this grieving time, and some experts advise sitting on any money for 6 months before spending. Financial fraud is a very real danger after a death, and someone could try to use personal information to gain access to assets. One way to protect against fraud is to keep the obituary short, and share few personal details. Obituaries are a place where thieves can find the decedent’s age, birthday, address, mother’s maiden name, and more. Social media is another place where information about deceased relatives can be found, and even an inactive Facebook account could be accessed and used to solicit funds from friends. Another area that you need to be careful with are the documents that you will be using, and discarding, during this time. If you are cleaning out a loved one’s home, don’t just throw away important documents, but rather shred them. There are thieves that will go through someone’s trash to get mail and other documents that contain sensitive information. Finally, secure any financial or other sensitive documents that you are carrying with you during this time. Especially if you have been named executor of an estate, make sure that you are regularly communicating to family members about the steps that you are taking and the timeframe of probate or other dispersion of assets. Suspicion and resentment are common during this time when assets are being distributed, but having regular discussions can help clarify the process to everyone. 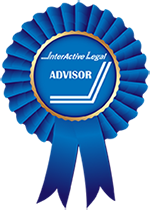 Avoid litigation and stressful family arguments by having clear communication from the start. The best thing to do is have an estate plan in place before someone dies that has been communicated to the whole family; this eliminates any confusion or suspicion. Hopefully, your loved one will have already utilized an estate planning attorney to craft an estate plan that makes this whole process easier. Even if they have taken this step, consulting with an attorney during this time will ensure that you avoid any surcharges that can be placed on executors for improperly distributing funds. An estate planning attorney can help you protect assets and ensure that the maximum amount is passed on to the loved ones it is intended for. 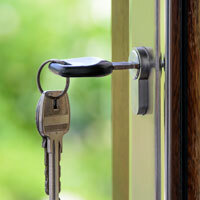 An estate planning attorney can also ease the burden during this emotionally trying time. 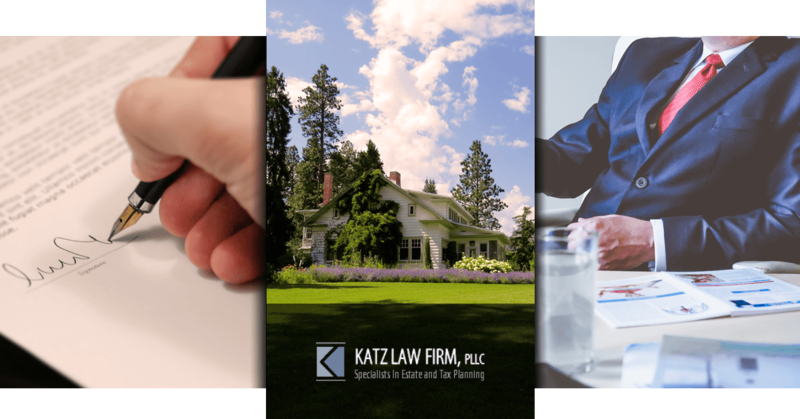 If you are looking for an estate planning attorney in Cedarhurst that can help you through this trying time, Katz Law Firm is here for you. We specialize in estate planning strategies including tax planning and trusts, and can help you navigate estate planning legal requirements. If you are dealing with the loss of a loved one, Katz Law Firm can help, and if you are just starting to think about estate planning we can assist you too.